Jeffrey Hall, CEO of Jamaica Producers Group. After six months of negotiation, Development Bank of Jamaica (DBJ) has struck a deal with Jamaica Producers Group and Pan Jamaican Investment Trust for assets held by Mavis Bank Coffee Factory Limited (MBCF). The deal is described as a purchase of assets, including the prized Jablum brand, and not an acquisition of the company. The buyers have also acquired an unspecified amount of the coffee factory’s debt. DBJ declined to state the overall value of the deal, but its disclosures suggest the transaction is worth at least US$9 million, not including the debt. “It will see the transfer of assets which include real estate, fixed assets, contracts, books of business, goodwill and trademarks which include the Jablum brand, as well as the assumption of certain of MBCF’s liabilities,” said DBJ. “The total value of the liabilities to be assumed is subject to an agreement between the parties and will be finalised by closing,” the bank said. The deal is expected to close in two months, dating from October 14 when the sale agreement was signed. DBJ said it would net US$4.5 million (J$387 million) from the sale of the assets and that Jamaica Producers/Pan Jam would sink another US$4.5 million of capital into the business under a five-year development plan agreed by the parties to improve MBCF’s physical plant and commercial capacity, as well as product quality in line with business conditions. “Our plan is to grow the business in line with our commitments. We will develop the business in line with the opportunities within the company and we have committed to the DBJ to do that,” Jeffrey Hall, chief executive officer of Jamaica Producers confirmed Wednesday. Hall said the newly acquired coffee assets would be held by a new entity called Orchard Plantation Coffee Factory Limited trading as Mavis Bank Coffee Limited. “Neither the GOJ nor the Munns have a stake in this company,” said DBJ. Essentially, DBJ’s 70 per cent shares in MBCF and the Munn family’s 30 per cent are now held under Forres Park. The development bank said, via email, that negotiations are being finalised for the Government of Jamaica to acquire the Munns’ 30 per cent. A government investment guide on MBCF indicates that the company’s sales in the past few years have ranged between US$8 million and US$11.6 million per annum. Sales volumes have been affected by falling demand in the coffee producer’s primary market, Japan. MBCF has been searching out new markets to cover the shortfall and has reported headway in the United States where sales in 2009 amounted to US$3 million. MBCF CEO Senator Norman Grant said not much has changed since the sale agreement was signed two weeks ago. “The company continues to operate in a seamless transition process and is buying cherry berries coffee from our 6,000 farmers in the Blue Mountain region in the parishes of St Thomas, Portland and St Andrew at an increased first-payment price of J$2,000 per box up from J$1,500 per box,” Grant told the Financial Gleaner on Thursday. Senator Grant said he will be retained as CEO after the transition, but that 200 other positions have been made redundant with some of these workers offered short-term contracts in the interim. MBCF operates as a coffee dealer and processor in the business of green bean processing, roasting, and coffee drink production. It is the registered owner of the Jablum trademark, and its products are offered for sale in Japan, China, South Korea, the United States of America, the United Kingdom, and the Caribbean. Mavis Bank trades green beans under the MBCF brand, and roasted coffee under the Jablum brand. DBJ says the factory processes 1.4 million pounds of green beans annually from cherry berries, representing approximately 30 per cent of Jamaica’s Blue Mountain coffee output. 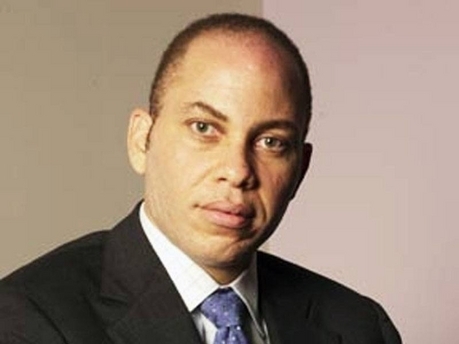 “We are confident that Jamaica Producers Group and Pan Jam – two Jamaican companies which have a proven track record in economic development through product innovation, access to international markets and a strong capital base – will be able to achieve efficiencies which the Government was unable to support, given its limited financial and managerial resources,” said DBJ Managing Director Milverton Reynolds in a statement. “And, in any case, this is not a core government function. We expect the buyers will be successful in the expansion and management of MBCF,” he said. Jamaica Producers and Pan Jam are listed blue-chip conglomerates with, as highlighted by DBJ, 150 years of combined experience in farming, agro-processing, property management, financial services, retailing and hotel operations in Jamaica and overseas.